We make it easy and affordable to gather detailed power and environmental information. 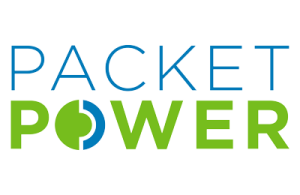 Packet Power captures, collects and analyzes the information you need to effectively manage energy usage. We make it easy to understand why you use as much electricity as you do. Our wireless monitoring devices deliver highly accurate power and environmental monitoring data. We provide a complete range of power monitoring solutions that encompasses everything from device to mains circuit-level monitoring. Our environmental solutions track temperature, relative humidity, differential pressure and dry contact data. All monitoring devices instantly begin to share information via a self-configuring wireless network as soon as they are plugged in. Energy usage information is then gathered for use by our intuitive applications or for distribution to a wide variety of energy monitoring systems. Critical Components is the Southeast’s source for Packet Power- Packet Power captures, collects and analyzes the information you need to effectively manage energy usage. Serving the Southeast including Georgia, Alabama, Florida, Atlanta, Birmingham, Orlando, Tampa and Jacksonville.